3 bedrooms (full, two rooms with two twins). 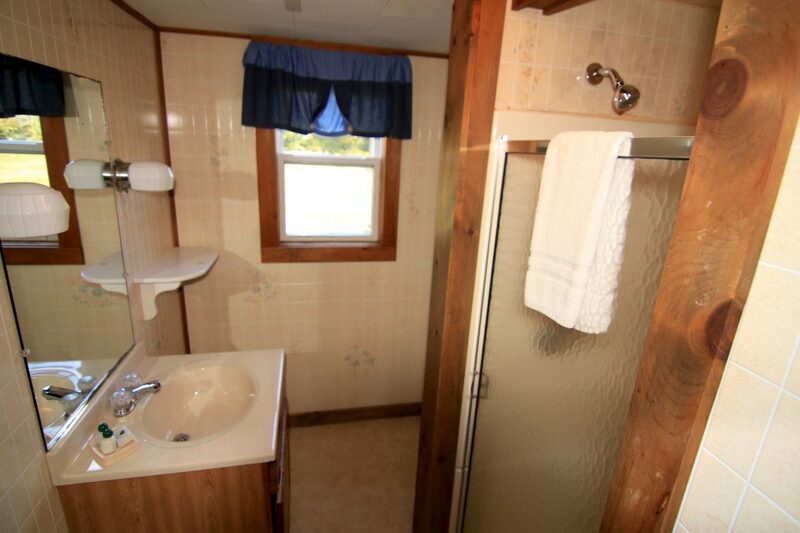 Bathroom with a stall shower. Sleeps up to 6. 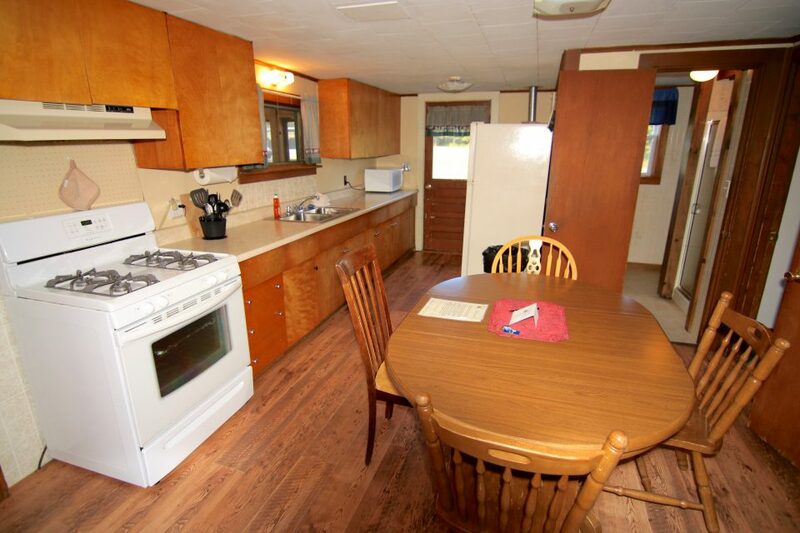 This roomy cabin is just steps from Back Lake. Comfortable leather seating in the living room with a gas fireplace. The screened in porch has a 4 person hot tub, table and chairs for dining and lots of windows. Park your snowmobile or ATV right at your cabin and enjoy the trails. 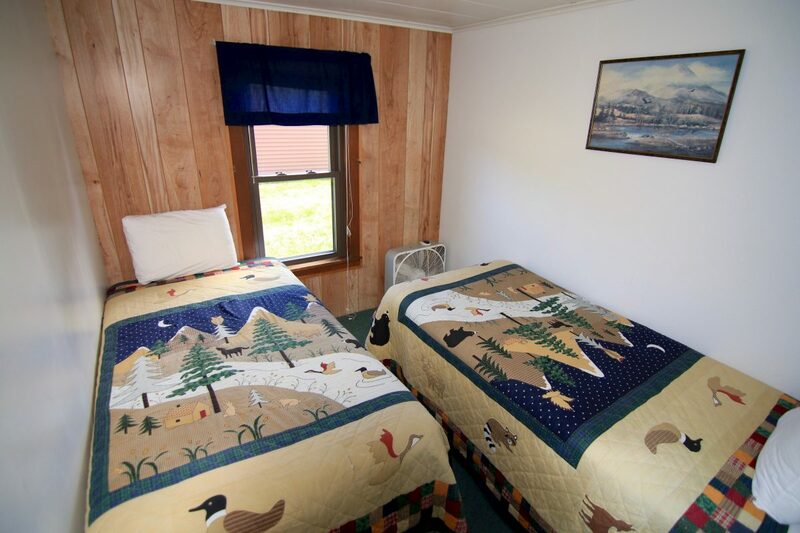 This is a pet-friendly cabin. There is a $15 pet charge per night. Check-in time is 3:00 pm and check out time is 10:30 am. Please let us know if you will be a late check-in. 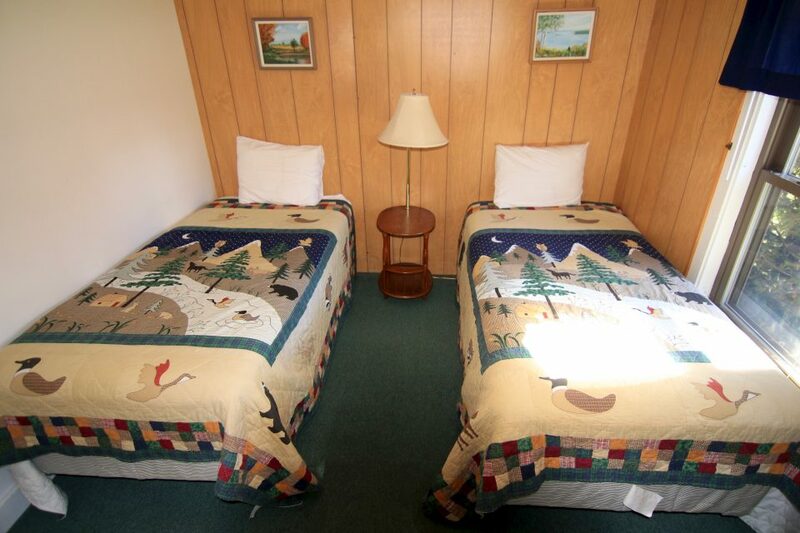 Summer Rate	 $190.00 a night for 2, $42 per additional persons. Weekly Rate	 $1140.00 for 2, $252 per additional person. This was one of the best trips! Great trails and a wonderful cabin! Amazing weekend!! Best choice so far! Fishing was good, hot tub was great, and the cabin was warm & comfortable!